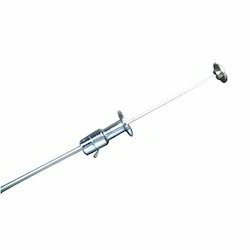 Our product range includes a wide range of artificial insemination gun, artificial insemination gun universal and artificial insemination sheaths. 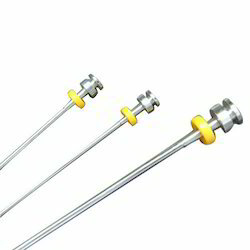 A.I Gun Universal SELF LOCKING can be used with 0.25cc and .05cc straw. Three Stainless steel tubes in gun to give more strength. Sheath can be released by pressing release lever. Plunger locking device avoid falling of plunger during handling. Ring is not used, therefore no chance of misplacing it. 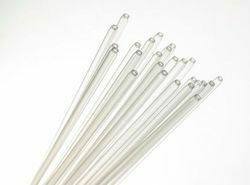 A.I Gun Universal can be used with 0.25cc and .05cc straw. These sheaths are manufactured in adherence to industry-specified quality guidelines by using the best raw materials. These sheaths are known for being easy to use, durable and damage-resistant. The sheaths provided by us are available to clients in multiple specifications at highly reasonable market prices. The hebbal sheaths last for long time periods and are known for their unmatched quality.